Admission to the park was prepaid with my tour, but the guide insisted I needed to pay (again). Even my conversational Spanish proved useless. It seemed my tour operator from Antigua took me for an an extra 50 Quetzales when I prepaid. I became angry. It wasn’t the money, but the principle of it that made me feel cheated. 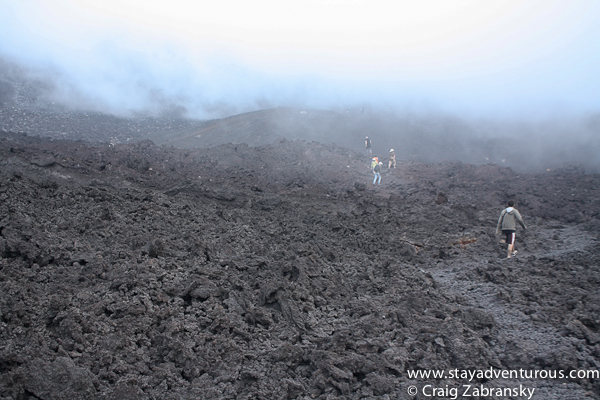 I don’t mind paying for access to the volcano, or to the park, but paying twice soured my excitement. We began our hike, and I declined the horse. More Quetzales. No, not me. But thankfully, the non-purchased horses continued the climb with us. 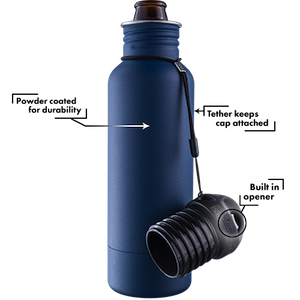 At every stop, I needed a deep breath and rest, then the sales pitch began again. Exhausted, I eventually caved and only then did I smile. 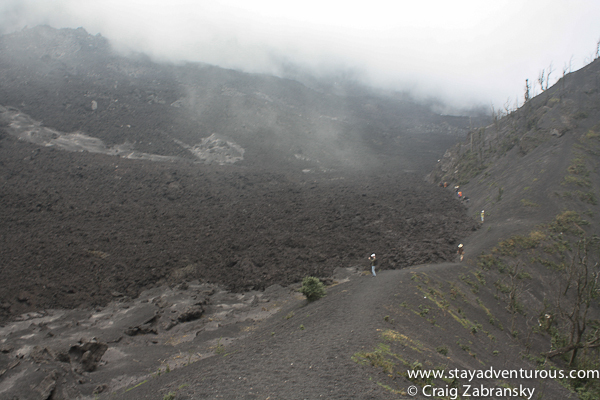 The hike to Pacaya proved very challenging. Classified as only a moderately difficult hike, I thought otherwise. I might blame it on my recent arrival to Guatemala and the altitude, but I also hadn’t hiked in some time. Now on horseback I zigged and zagged across the steep, challenging terrain and kept climbing. And kept climbing. Eventually the thick vegetation softened and the distant Volcano came into view, but by the time I dismounted the fog had rolled in. No visibility. The clouds moved fast over the mountains and I eventually had my view again. Suddenly a smoking (active) volcano was in full bloom. Then the second hike began. The horses only take you one way – up, now I needed to head down into the valley for a closer examination. As I slid down the mountainside an eerie feeling of smallness came over me. 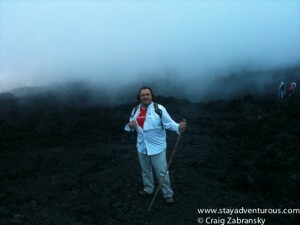 The hike continued through a lifeless lava sculpted landscape. Sometimes mother nature takes a millennium to make her beauty, other times, it only takes seconds to transform the earth. The pure power of a volcanic eruption can not go unnoticed. 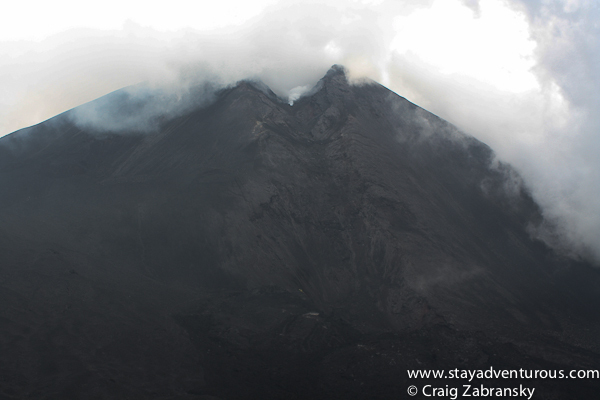 Just two years prior this was an entirely different world, but Guatemala changes often thanks to its many volcanoes. As I continued my hike, one vantage point seemed better than the rest and I stopped for a few photographs. Half of the group had continued but stopped to listen to our guide. With the rocks too hot to sit on, our guide took out some marshmallows and sticks. He placed a few sticks in a hole, they quickly caught fire from the lava near the earth’s surface and the guide then gave us each a marshmallow. A unique and tasty treat. i normally don't have one, but I couldn't refuse these toasted marshmallows. Then right before the sun set on Pacaya, we started our return hike. Even with no horse to help, I hiked the uphill and then returned down the original climb with greater ease. I had energy left in my tank thanks to the help on the way up. In fact, many who didn’t take horses never made the second hike. Sometimes you need to pay more to experience more. It’s easy to let emotions affect your experience. I almost let 50 Quetzales change my time at Pacaya. I am glad I eventually came to my senses and decided to purchase passage by the horse and enjoy the entire experience. I hiked to a volcano before once in Costa Rica, but I never felt as close as I did here; close to the volcano both physically and spiritually. The next day by coincidence, I met the tour operator in Antigua’s main plaza. He came over and immediately asked about my trip. I told him how incredible it was and also mentioned double payment. By this time I considered it a tourist or gringo tax and harbored no ill feelings but he made a phone call and returned my money. I did not expect it and appreciated the honesty found in Guatemala. 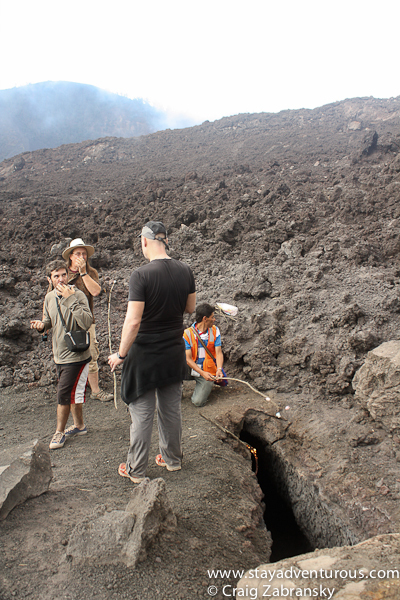 It’s not every day you hike a volcano. But it is everyday you can choose to enjoy life’s journey, and when you do, good things tend to come back your way. 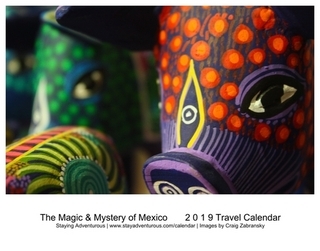 This post is part of the Autumn of Adventure, Adventure Travel Mindset and the Get to Know Guate series. 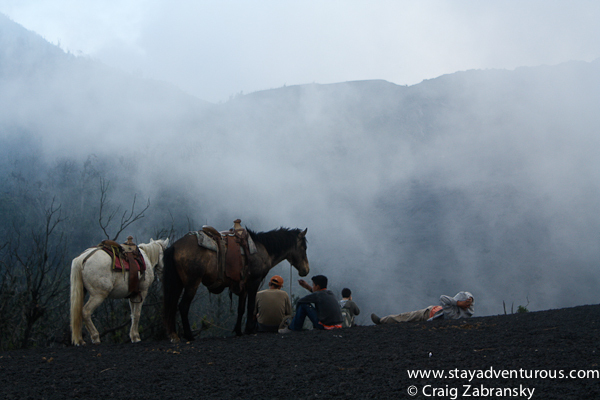 Horseback riding to Pacaya Volcano in Guatemala, Mexico sounds quite exciting. Personally, I will always opt for the horseback option, when available. We opted for the horses and had a great time. No lava for us that day but it was still a great adventure for the kids. They loved the “moon-scape” of the second climb. Totally loved the moon-scape too…some landscapes take eons of time to create, some, like these, take minutes… incredible.